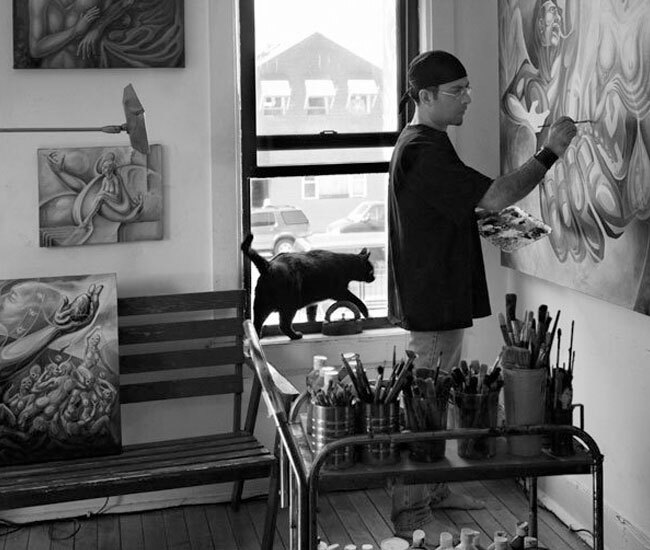 Roy is an internationally recognized graphic designer, painter, and muralist. He has held conferences and workshops and his works have been exhibited and published internationally. He was also the main cultural coordinator in the Pilsen Cultural Celebration. In addition to being the co-founder and active member of the 18th Street Pilsen Open Studios, Roy was also a member of Expresiones-Artisticas Arts Organization and worked as an art instructor in several public schools for Northeastern University’s Chicago Teachers’ Center. Roy studied Graphic Design in La Universidad de San Luis Potosi, Mexico.